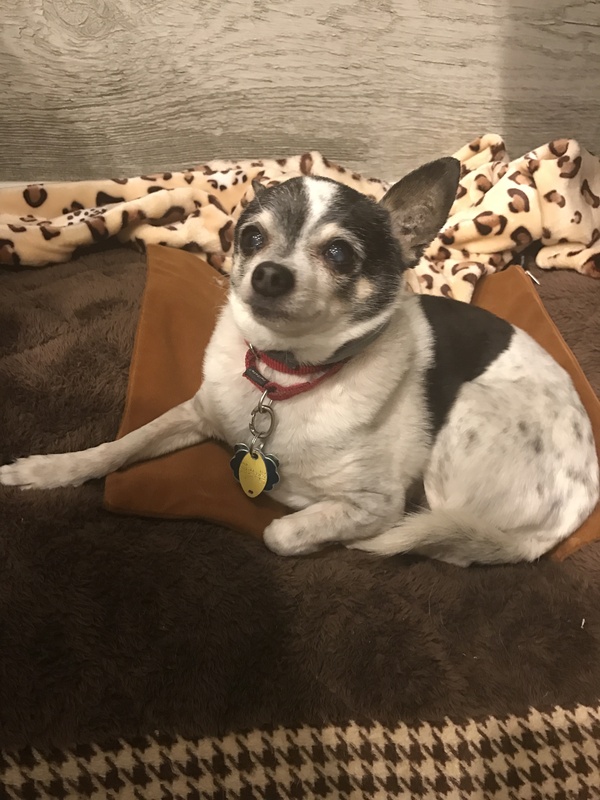 Skippy, a 15 year young Chihuahua, doesn’t act like a senior boy. He is a tiny guy with a big personality. Skippy loves to run around the yard, and he likes to go fast when he does it. He also loves to go on walks with his humans. Skippy also loves to a lap dog. And doesn’t mind sharing that lap with his sister, Zoey. Belly rubs and ear scratches are also some of his favorite things. 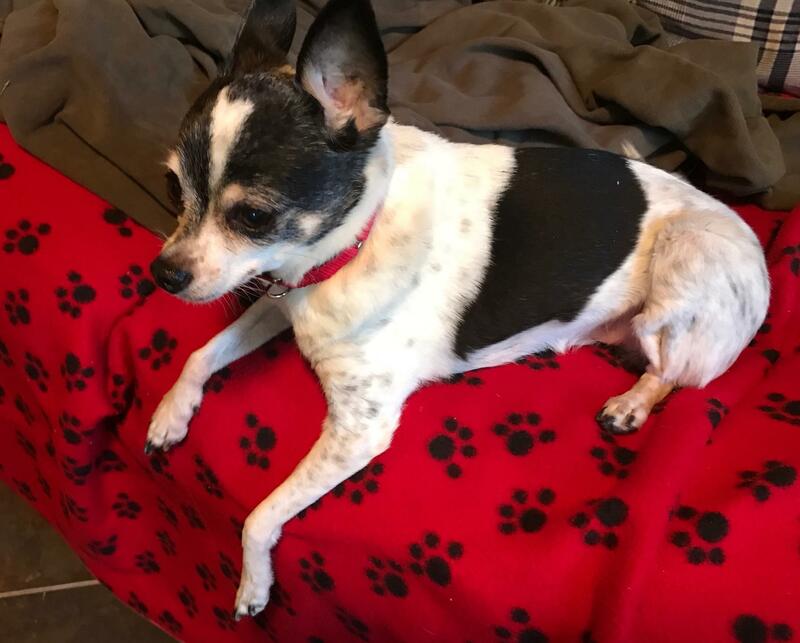 This sweet boy can be a bit shy and scared around new people. 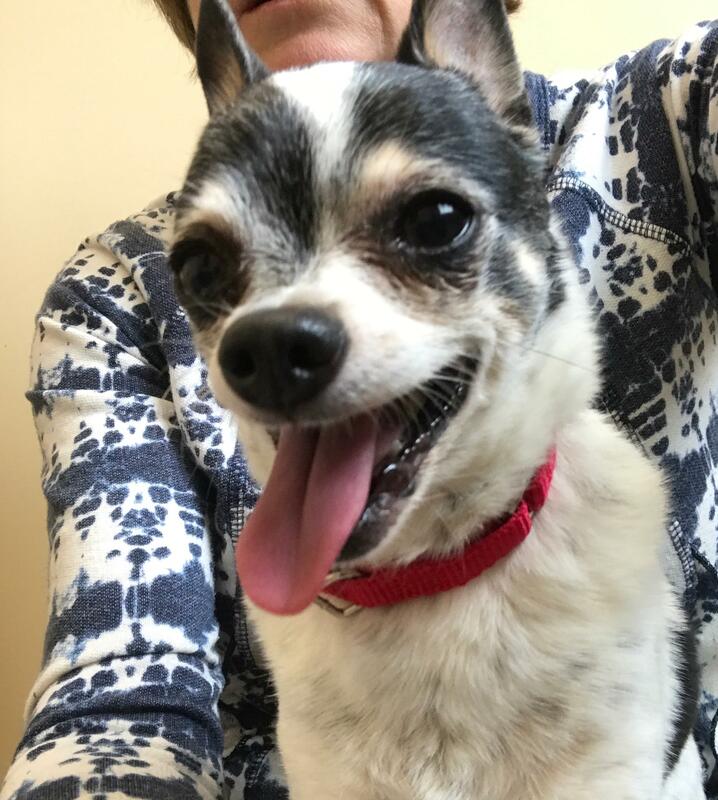 He can also get a bit snippy, so going slow when meeting new people is best for Skippy. Also, a home without small children is best. 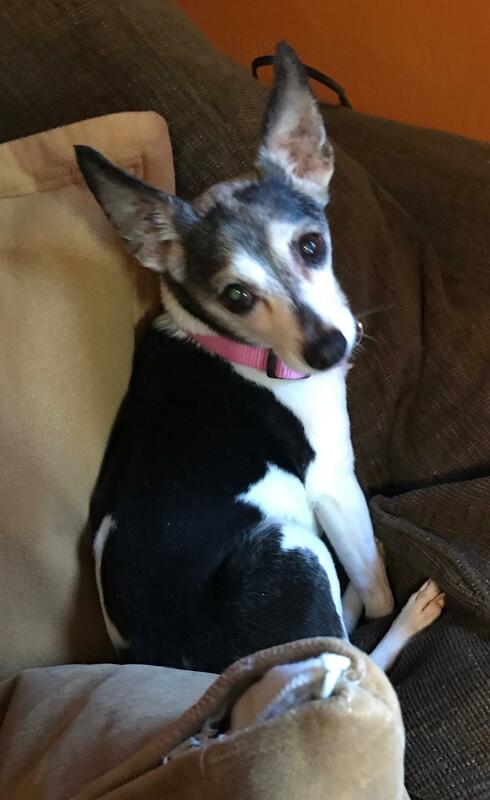 Sweet Zoey is said to be around 17, but she doesn’t act like an older dog. She, too, likes to run around the yard and go on walks. She can go fast too. And she can even jump up on the furniture herself. But she does love, and need to, get in a lot of naps. Zoey is one of the sweetest dogs you’ll ever meet. 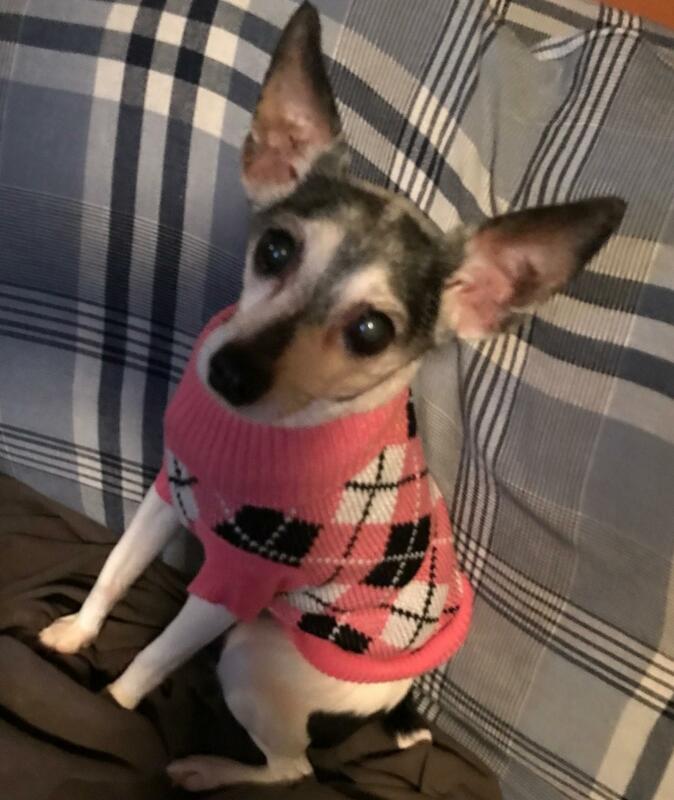 She loves humans, and loves to be picked up and carried, or just sit in your lap and snuggle. Although, she does love to sprawl across your chest and snuggle in close, when she’s not sharing your lap with her brother. 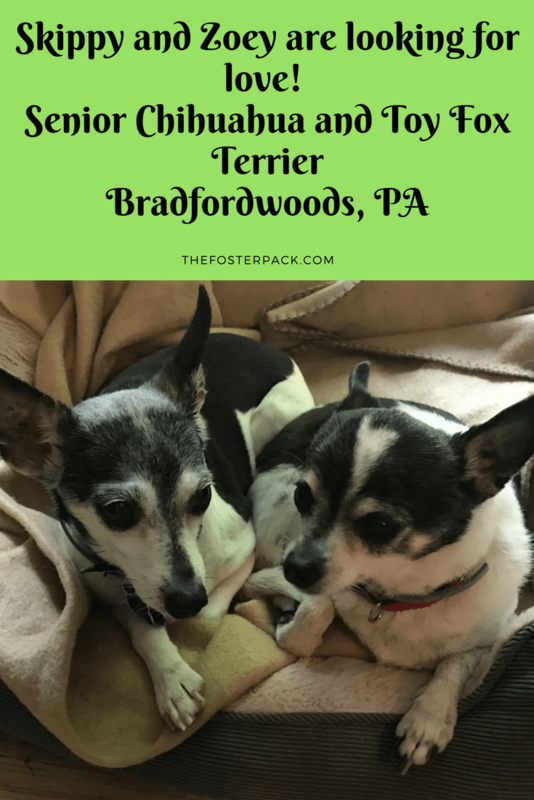 Bonded Pair, Must be adopted together! 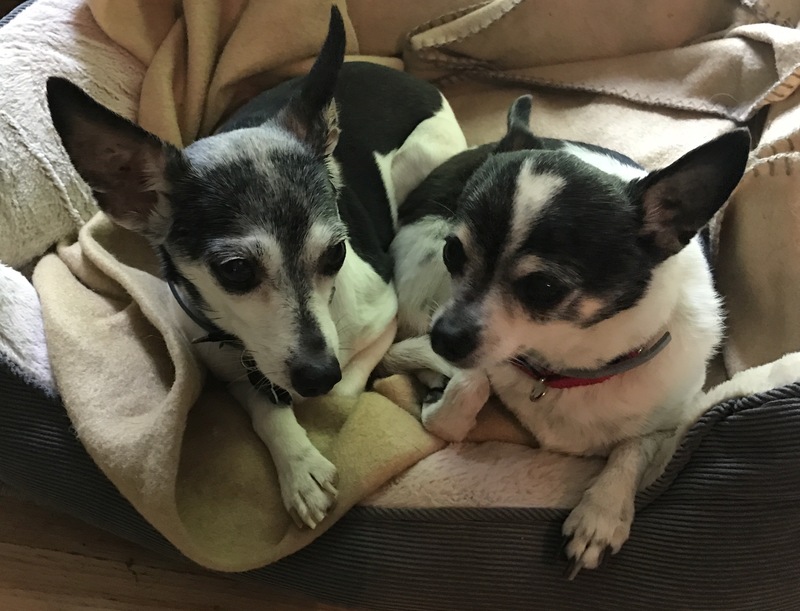 Skippy and Zoey are a closely bonded pair, and want to stay together for the rest of their days. So they must be adopted together. They are both spayed/neutered, up to date on their vaccinations and ready for their forever home. They would prefer a home without small children. And would be thrilled with a family where someone would be home all the time and my brother and I could sit in a lap and watch TV all day with them, but it’s not a requirement. 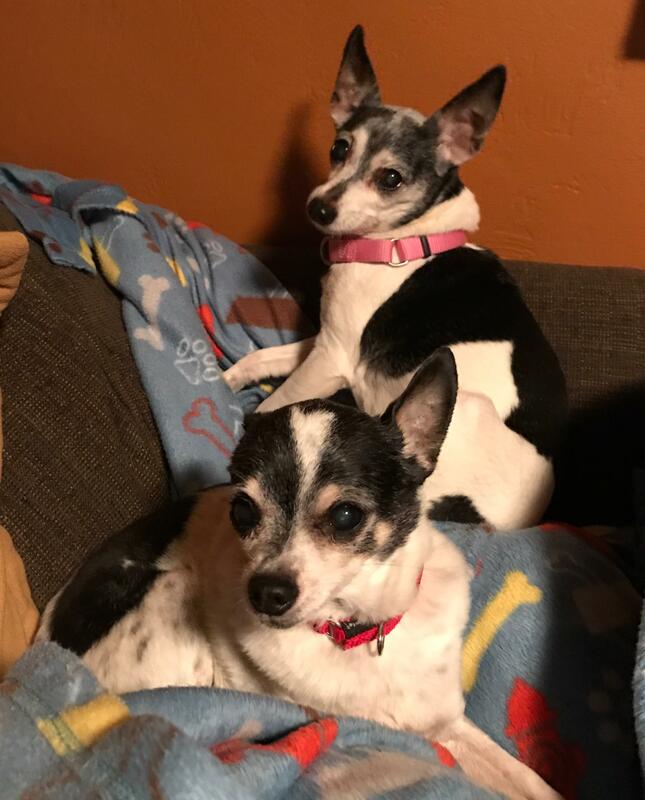 Skippy and Zoey, a bonded pair looking for a forever home.